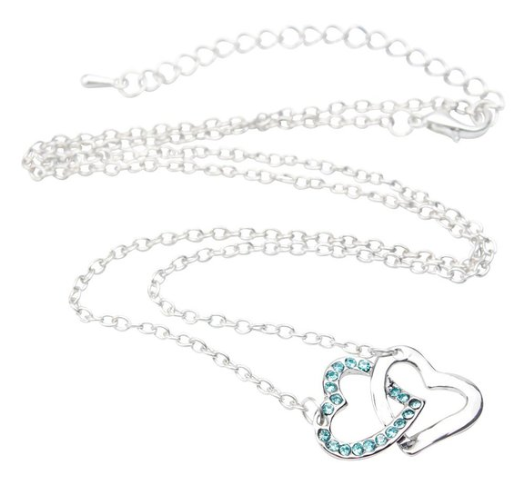 Heart to Heart Crystal Rhinestone Necklace Only $2.99 + FREE Shipping! You are here: Home / Great Deals / Amazon Deals / Heart to Heart Crystal Rhinestone Necklace Only $2.99 + FREE Shipping! This would make for a lovely Valentine’s Day gift! You can snag one of these Heart to Heart Crystal Rhinestone Necklaces (pink, sea, or purple) for only $2.99 + FREE Shipping!